Yesterday (October 1) was 「都民の日」 (“Tokyo Residents’ Day“). So, schools in Tokyo were closed. My kids had the day off. Also, 「都民の日」 (“Tokyo Residents’ Day“) is one of the three days every year that the zoos in Tokyo have free admission. So, since a new baby gorilla was recently born in 「上野動物園」 (Ueno Zoo), my wife and daughters went to that zoo yesterday. 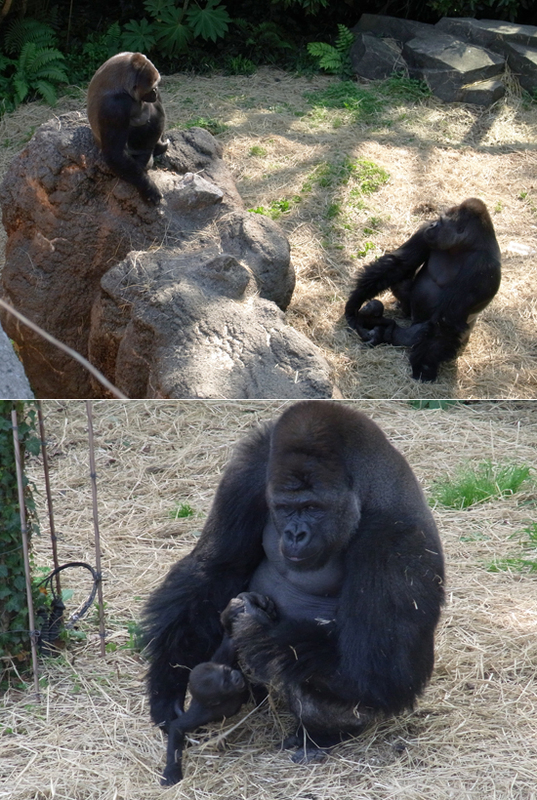 They told me that the new baby gorilla (named “Komomo“) is very cute. Also, yesterday a hefty new cigarette tax went into effect across Japan. The price of cigarettes just went up 40%! They were ¥300 (about US $3.60) for a pack…now they’re ¥410 (about US $4.95) per pack. From the day it was announced about a month ago that there would be a 40% increase on tobacco tax on October 1st until one day before the tax took effect, there was a huge increase on sales of cartons of cigarettes all across Japan as smokers stockpiled cigarettes while they were still (relatively) cheap. The Japanese government’s idea behind this tax hike is to try to motivate more people to quit smoking. I hope it works. I don’t like cigarettes at all. If an adult decides to smoke, even with the health dangers being well-known (and warnings printed on cigarette packs), that’s their decision. But I hate “second-hand smoke”. I don’t smoke so I don’t like inhaling someone else’s “exhaust fumes”. What do you think? Do you smoke? Do many people smoke in your country? How much do cigarettes cost where you live?